It’s Flash Friday! 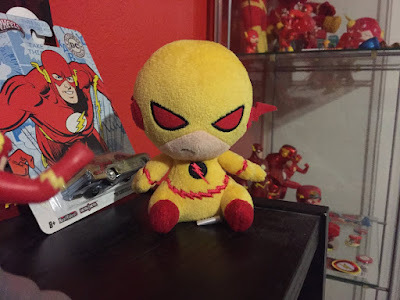 Way back in May I posted about Funko’s newest plush line, the Mopeez. In that original wave we got all the usual suspects like Batman, Superman, etc. I was really happy to see that the Flash had made it into those initial seven characters. I actually found mine while walking down an isle at my local Walgreens to get cold medication or something else completely unrelated. 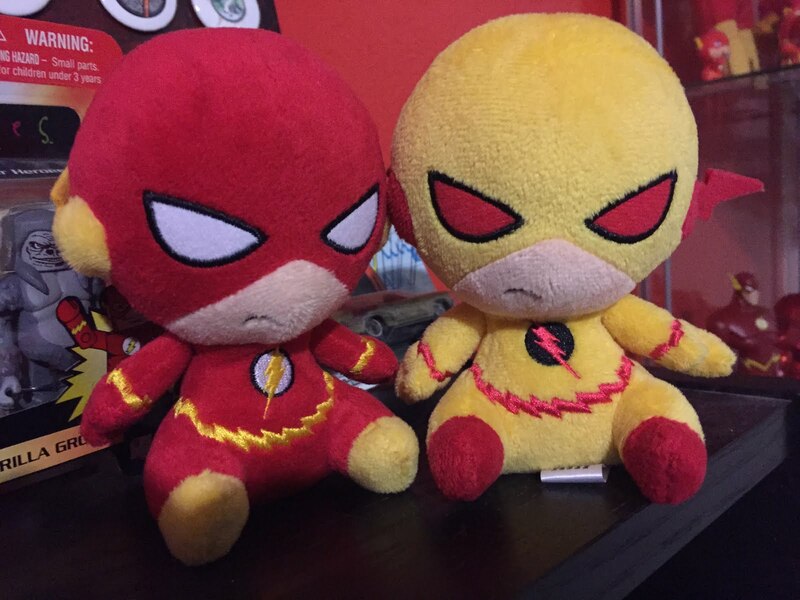 What I didn’t know is that Gamestop has an exclusive Mopeez of Zoom. I can’t even take credit for finding him, my wife noticed it sitting on the store counter while I was busy looking for something else. Needless to say it was an instant buy as soon as I saw him. There isn’t anything really different about this little guy; he’s just a palette swap of the original Flash Mopeez. I still find him adorable though and I’m glad I happed upon him. I haven’t seen anything yet on a second DC wave outside the Rainbow Batmans. I’ll post it here if I find anything, because I will lose my mind if they make a grumpy little Captain Cold.